Did you know the United States version of Mother’s Day started in the 1850s in response to growing rates of infant mortality? That the members of so-called Mothers Day Work Clubs would render aid to sons on both sides of the Civil War? And that the founder of modern Mother’s Day, Ana Reeves Jarvis, spent her entire life savings trying to stop the commercialization of the holiday? While Mother’s Day has become a nearly $20 billion dollar commercial enterprise, we want to channel the anti-war, anti-violence pronouncements of the 1850s and apply it to our nonhuman mothers and sisters. Right now a campaign of violence is being perpetrated against billions. A war so ingrained into our culture, our psyche, that most of us daily participate in the sanctioned blood-letting of innocents, other animals who have as much a desire to breathe, live, love, exist as you or I do. We have made these victims invisible, dis-assembling them behind closed doors, and reducing once vibrant beings to packaged parts. 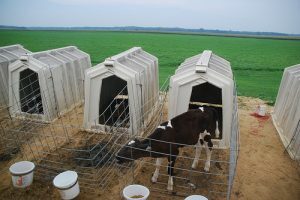 Female calves taken from their moms, housed individually until they replace their slaughtered mother. If you consume dairy products, you are taking food from a baby. Harsh, but true. Cows on dairies are regularly impregnated (often artificially inseminated) – once every 12-13 months! For nine months, they nurture and grow a calf inside them. Like with most mothers, there is a certain expectation that when that calf is born, nurturing, grooming, nursing will follow. Yet on most dairies, calves are stolen from their mothers immediately after birth. Some might allow 24-48 hours of nursing. Most do not. Her milk is sold for human consumption. You cannot be a commercially viable dairy and allow calves to nurse from their mothers. Male calves will be killed. Female calves will replace their mothers, who are killed. Cows will be slaughtered at a fraction of their lifespan. All for a fluid no human being requires for survival. We create orphans for a forgotten meal. If you consume eggs, you are eating eggs from a hen who never heard her mother’s voice. Did you know that hens speak to their chicks throughout incubation? That one of the most important social bonds – that between a mother and her offspring – occurs before chicks even hatch? When they are born, day-old chicks know the unique tenor of their mother’s voice and she knows theirs…they too begin to chirp back to her a day or so prior to hatching. 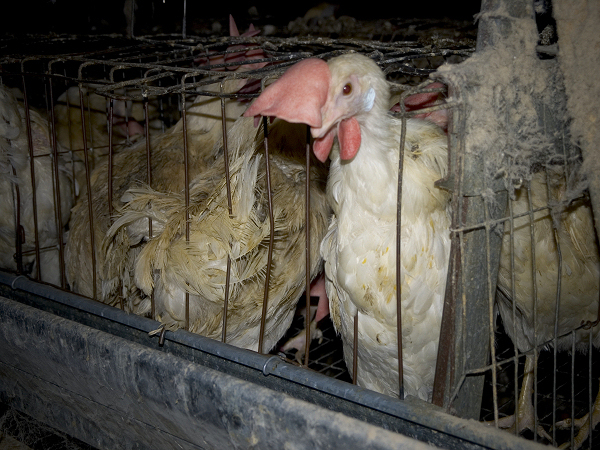 Yet virtually all chicks born into the egg industry are hatched in artificial incubators inside massive warehouses. You cannot be a commercially viable egg farm and allow hens to incubate their eggs and speak to their chicks. Male chicks are ground up alive. 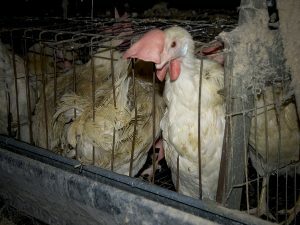 Female chicks are mutilated, their beaks partially amputated without pain relief. Hens are slaughtered at a fraction of their lifespan. All for eggs no human being requires for survival. We deny chicks their mother’s voice for a forgotten meal. Mother pigs spend their whole lives in cages where they cannot turn around. Their piglets are removed after only 2-3 weeks. If you eat bacon, you are eating the flesh of a piglet who was mutilated and stolen from her mother far too soon. Within 72 hours of birth, farmers cut off the tails of piglets, rip out their needle teeth, cut notches out of their ears, and castrate males…all without anesthesia or pain relief. Did you know in the wild, piglets are weaned from their moms at 4-6 mos old and that females stay with their mothers for their whole lives? Yet farmers remove piglets within 2-3 weeks of birth, stolen from their mothers who are crammed into cages so small they cannot turn around. You cannot be a commercially viable pig farm and give sows freedom to roam and piglets time to grow old with their mothers. 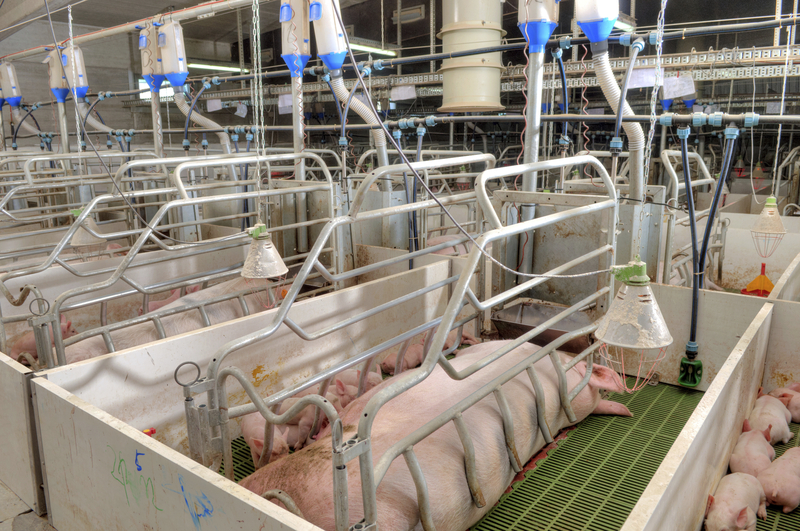 Male and female pigs will be raised in concrete pens for 6-8 months and killed. Their mothers will spend 3-5 years in crates so small they cannot turn around. All for flesh no human being requires for survival. We destroy families for a forgotten meal. Farms ruin motherhood for so many nonhumans. Farmers intentionally select mates and they often artificially inseminate animals – virtually all cows on dairies and turkeys on farms are artificially inseminated. Farms disrupt vital social bonds, particularly those between mother and offspring. It does not have to be this way. When you empathize with other animals, it becomes easier to see them as unique individuals who experience joy, feel pain, and form social bonds with one another. It becomes harder to see them as forgotten meals. And if you think intentionally and artificially breeding animals, destroying their social bonds, and taking their lives can be done humanely – think again. Adopting a vegan lifestyle is embracing joy and rejecting needless suffering and cruelty. It is recognizing the inherent right of other animals to be respected and free from intentional harm by humans. It is about being as kind and just as possible. Veganism causes less harm. Sign up for our Sanctuary Sweets list and receive vegan recipes to your inbox! Take your 5 favorite recipes and veganize them! This Mother’s Day, choose compassion over cruelty and celebrate with vegan chocolate (Sjaak’s and Allison’s Gourmet are two of our faves), and vegan cheese or wine/sparkling cider. You can order vegan cheese online from: Vtopian Artisan Cheese and Miyoko’s Kitchen. Whole Foods and some co-ops carries Miyoko’s cheese, along with Heidi Ho Organics, Kite Hill, and Treeline. Find a supportive community! Check out Meetup.com for local vegan friendly meetup groups. Ask your best friend or sympathizing family members to help. Having a support base is vital in remaining vegan. Visit a sanctuary! Remind yourself of who you are working to save by volunteering, interning, donating to, or visiting a farmed animal sanctuary. Animal Place has a constantly updated website Sanctuaries where you can look for a sanctuary near you. -Marji Beach is education director at Animal Place. Her degree is in animal science from UC Davis and she has spent the past decade working on behalf of farmed animals at Animal Place. You need to give us access to share these pic’s and stories directly to Facebook. Hi Rita – we added a share button at top (but sorry for the duplicate FB like buttons). This is the proof of the America corporation real cruel unfortunately they do not even see it, they do not know about if they know they do not believed, this is to sad to watch brake my hearth imaged all the animals in this circumstances, I hope they will experience another kind of world, free of pain. Thank you for what you do. I heard a great line this weekend from Kip Anderson, co-maker of Cowspiracy: We must not just walk the talk, we must talk the walk. You tell the story with facts, heart, clarity. We all have that duty. it is not just enough not to participate in in. We must actively must talk about it. One more thing–a number of us discussed feeling like we are close to a tipping point in a culture shift. One of us will be that “Hundredth Monkey” who does a thing one more time…and changes everything. These writings also could be submitted as columns to local newspapers that often include them. We do a great job of circulating information within the AR community but not as much in mainstream . I live in a tourist town in NH and our local paper, the Conway Daily Sun, prints columns by NY Times writers like David Brooks, and others. A couple months back, when the shocking news came forward about the Nebraska USDA research center that was doing horrible things to animals, a column about it by HSUS’s Wayne Pacelle got printed. I rejoiced. Could your communications person taylor it down some and submit it to margaret@conwaydailysun.com ?? Her number for chatting in person is 603-356-3456 and prompt to editorial department. which means that 3,000 pigs were packed into that one barn! their current lives and the slaughter they would undergo? it would have been given much more attention…. be blessed to keep going and trying to change our world….